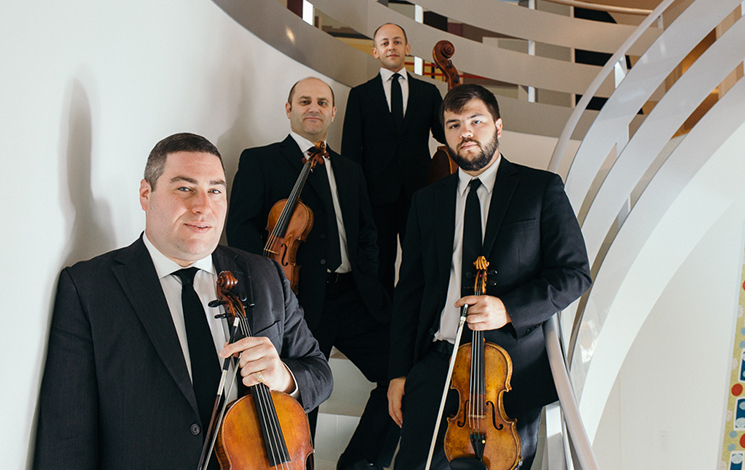 Praised for their “intelligence” and “immensely satisfying playing” by the New York Times, the Amernet String Quartet has garnered recognition as one of today’s exceptional string quartets and is Ensemble-in-Residence at Florida International University in Miami. Their sound has been called “complex” but with an “old world flavor.” Strad Magazine described the Amernet as “…a group of exceptional technical ability.” The Amernet’s have collaborated with many of today’s most prominent artists and ensembles including the Tokyo and Ying quartets as well as Shmuel Ashkenasi, Robert deMaine, Roberto Diaz, Gary Hoffman, Ida Kavafian, Anthony McGill, Sherrill Milnes, Michael Tree. Earlier in their career, the Amernet won the gold medal at the Tokyo International Music Competition before being named first prize winners of the prestigious Banff International String Quartet Competition.